Operating facts: The engine takes roughly six hours of start-up time when “cold” and about 2 hours when “warm”. The crew consists of 1 driver and 1 fireman. Each run consumes about 1,500 gallons of water, and less than 1 ton of coal. The cab temperature on a hot day can exceed 120 degrees F.
In 1940, this 2-8-0 was built by the Canadian Locomotive Company for the Roberval and Saquenay mining railroad in Northern Quebec. 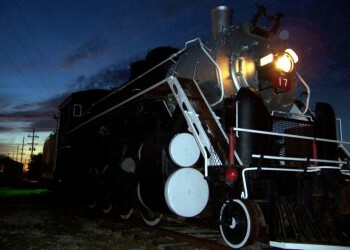 It was the last 2-8-0 built in Canada. 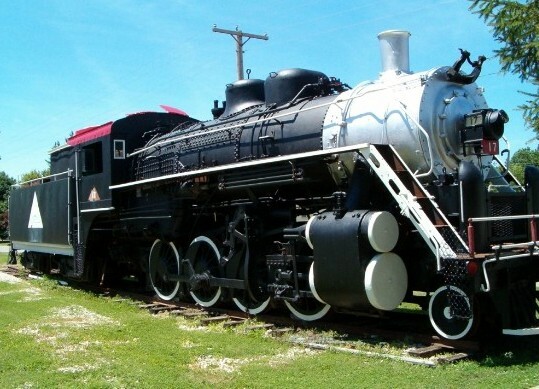 After spending 20 years hauling bauxite in Canada, the locomotive was sold to southern Illinois’ Crab Orchard and Egyptian Railroad in 1975. 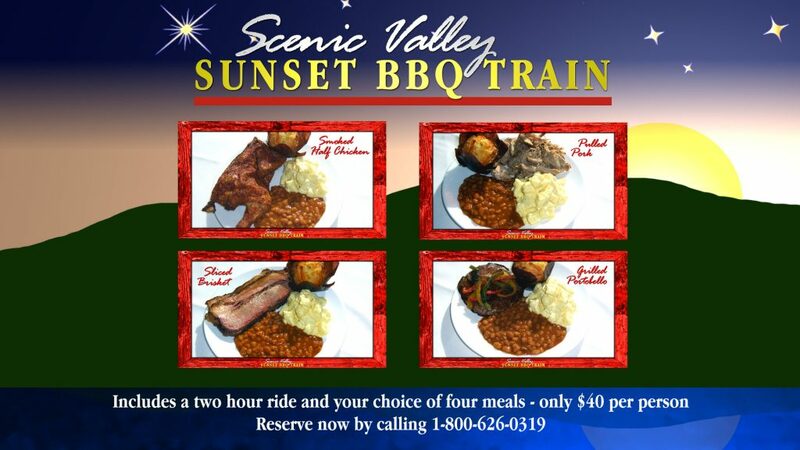 In 1987, it was sold to the Boone and Scenic Valley Railroad. 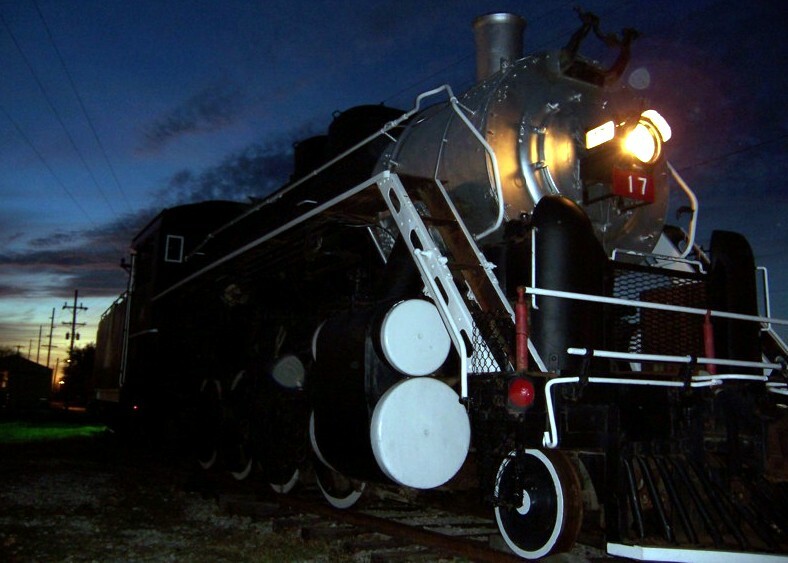 The locomotive has 57″ diameter wheels, 23″ diameter cylinders with a 30″ stroke, boiler pressure of 200 pounds, total weight on drivers of 204,200 pounds, total locomotive weight of 230,720 pounds. Maximum tractive effort of 47,300 pounds. The eight wheel tender holds 7,000 imperial gallons of water and 14 tons of coal. It was originally equipped with a winterized cab, superheater, feed water heater, and stoker, all of which were later removed by the CO&E. Its headlight was from an ex-IC electric trailer car. The #17 has had its flues removed and discarded. Its jacket and insulation have been removed, and the jacket pieces saved. All of the grates, the turbo generator, bell, and all piping and appliances in the cab have been removed and are in storage. The front and rear flue sheets were replaced by the CO&E when the superheater tubes were removed. #17 has a front mounted air compressor. Some of what it needs to make it operational again are: A whistle, smoke box rebuilding, new flues, new fire brick, insulation, jacket, bottom part of the fire box water legs and mud ring replaced, main bearing work.